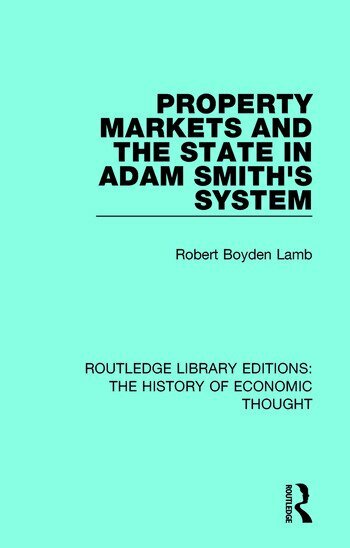 This book, first published in 1987, is an attempt to explain Adam Smith’s theory of property. The author examines Smith’s theory in the context of The Wealth of Nations, and explores what Smith said, what he really meant, and what can be logically deduced from it. This title will be of interest to students of economic thought.